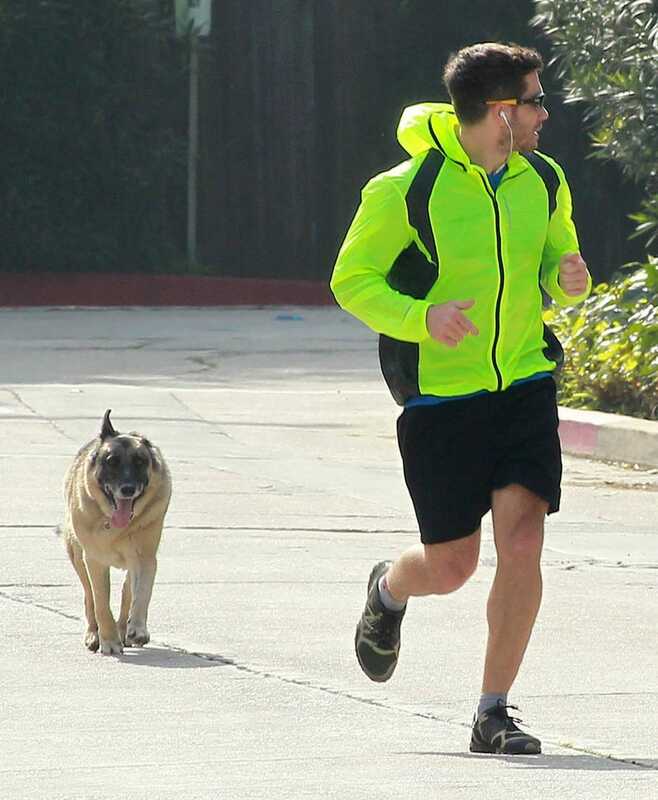 Los Angeles, March 4: Mr. Gyllenhaal sports subtle daytime attire whilst skipping through the city of angels, his charming canine friend nipping at his heels. The breeze blows, the sun shines, the ocean sparkles. May everyone's day be so blessed.